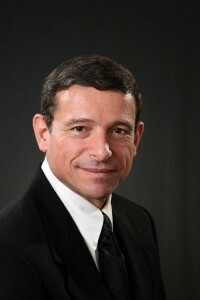 Arthur Berman is a geological consultant with thirty-two years of experience in petroleum exploration and production. He is specialist in prospect and play evaluation, reserve assessment, risk evaluation, subsurface geological and geophysical interpretation, and database management. Art has an M.S. (Geology) from the Colorado School of Mines and a B.A. (History) from Amherst College. Art’s clients include E&P companies and capital groups in the energy sector. Art has made over 30 presentations to Financial Analyst Conferences, Oil & Gas Association Meetings, Engineering and Geological Society Meetings and E&P Company Executive Committees over the past year. He is a guest lecturer at the Rice University Jesse H. Jones Graduate School of Management. Art also published over 50 articles on geology, technology, and the petroleum industry. Publication topics include petroleum exploration, oil and gas price trends and cycles, petroleum play evaluation, sequence stratigraphy, coastal subsidence, earthquakes, tsunamis, and petroleum geopolitics. He has published 10 articles on shale gas plays including the Barnett, Haynesville and Fayetteville shales. He is a member of the National Petroleum Council and on the Board of Directors of ASPO USA. He is a on the editorial board of The Oil Drum, and an associate editor of the AAPG (American Association of Petroleum Geologists) Bulletin. He is a past-editor of the Houston Geological Society (HGS) Bulletin (2004-2005) and past-Vice-President of the HGS (2008-2009).